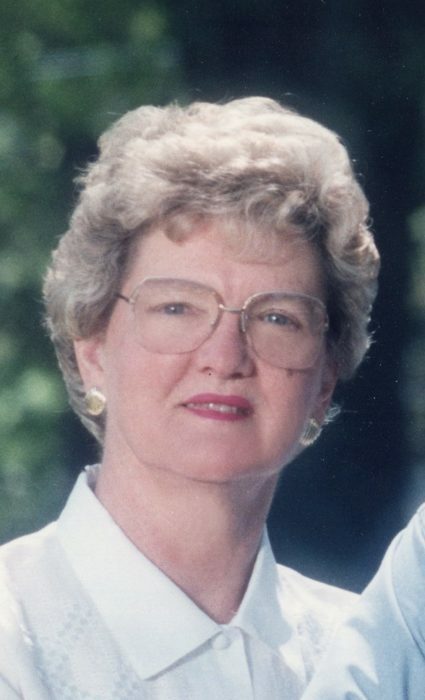 Betty Ann Barnes Grimes, 86, died peacefully at her home on Tuesday, April 9, 2019. She was born October 6, 1932 in Halifax County, NC and spent her early childhood and adult life in Edgecombe County, NC. She was the daughter of the late Bessie Rebecca Kirkland Barnes and James Edward Barnes. Betty Ann worked for Carolina Telephone for several years after graduating from high school. She then became the “farmer’s wife”. As a homemaker, she was devoted to her husband, children, and church. She was truly the “glue” that held her family together. She loved nothing more than to spend time with her children, grandchildren and great-grandchildren. She made the perfect Granny! Mrs. Grimes was a member of William and Mary Hart Presbyterian Church in Leggett, NC. She served as an elder in the church as well as a member of the Presbyterian Women. Survivors are a daughter, Angela Grimes Greene and husband, Wes, of Moorsevlle; a son John Rodgers Grimes, Jr. and wife Nell, of the Dunbar Community in Edgecombe County; two grandsons, John Rodgers Grimes, III and wife Sterling, Travis Jackson Grimes and wife Sally, all of the Dunbar Community in Edgecombe County; a granddaughter, Sarah Allsbrook Fulcher, of Charlotte; five great-grandchildren, Carr and Reade Grimes and Jax, Tilly, and Collins Grimes; brother-in-law, Jerry Speight Grimes and wife Katie of Big Springs, Texas. Mrs. Grimes was preceded in death by her husband of 52 years, John Rodgers Grimes, Sr.; two sisters, Myrtle Barnes Anderson, of Tarboro and Lois Barnes Jenkins, of Union Grove. The family would like to express their appreciation to her caregivers, Jean Arnold, Elizabeth Williams, Gloria Mosley, Barbara Molten, and all of her friends. Funeral services will be held at 2 pm on Friday, April 12, 2019 at Carlisle Funeral Home in Tarboro. The Rev. Dr. Ronn McCracken will officiate. Burial will follow in Edgecombe Memorial Park, Tarboro. Visitation will be from 7 to 9 pm on Thursday, April 11, at Carlisle Funeral Home. Flowers will be accepted or memorial contributions may be made to William and Mary Hart Presbyterian Church, c/o Lynn Corbett, 251 R. Hawkins Road, Whitakers, NC 27891.